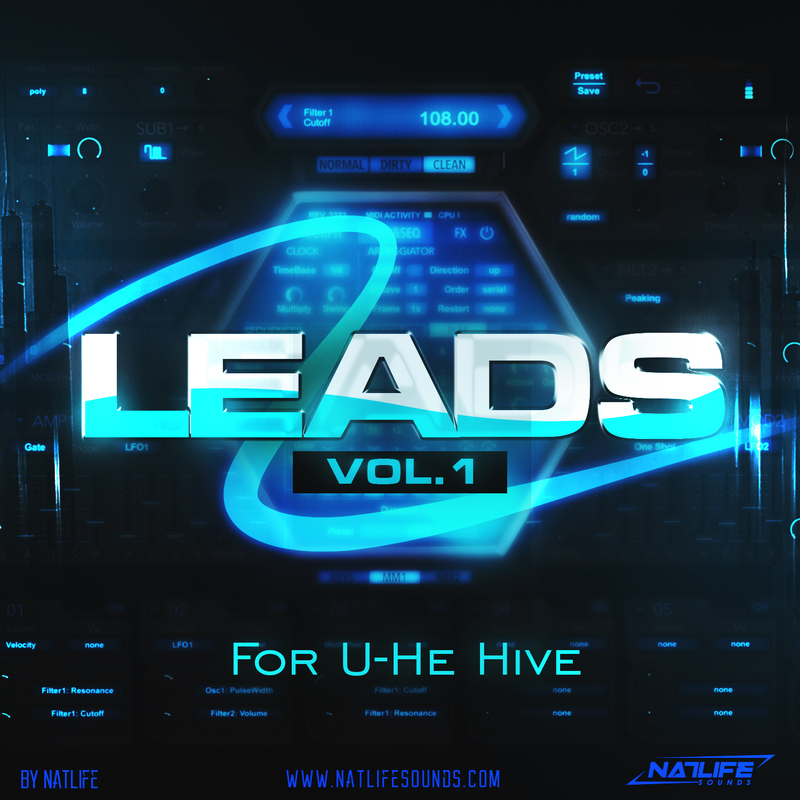 50 Most unique Lead sounds for U-He Hive VST synthesizer! It's a new NatLife artist series sounds, where will be everything aboud the Lead! You can find here as a most modern line leads and in same time some nostalgic recreated leads. Your imagine of the Lead concept will be change for now. It is not only those EDM tracks with all time the same Lead-sounds, it's can be a totally different way sounding, and now it's here. And it's will be not enough of just listening our beautiful video-presentation of what you will get in the pack, because in this pack you will have much more than it was showed in the small demo. So now you ready for jorney in another world of Leads!